Since September 2013, new laws have come into place that mean head teachers are only allowed to authorise term-time absences in exceptional circumstances. As such, when Stewart and Natasha Sutherland decided to take their children to on holiday during the school term, they returned to £1,000 bill. The couple and their three children went to Rhodes for a week last September and were ordered by the magistrates to pay £1,000 in fines and court costs. However, it seems that many parents could potentially end up fined this school year as a poll found that a third of parents would ignore the legislation. The fine has sparked a new call for staggered term dates from travel association, ABTA. It claims that since head teachers can no longer grant permission for pupils to take up to 10-days’ holiday during term-time, term dates need to be increasingly flexible as the cost of travelling during school holidays soars. The cost of travelling during any school holidays can be greater than the price of a break during the term-time, with prices appearing to spike during the summer break. Nick Trend, consumer editor of Telegraph Travel, said: “August prices are often twice those in June, camping holidays quadruple in cost, and flights and ferry fares on peak summer weekends can also be up to four times more expensive than at quieter times,” The majority of British schools are closed in July and August, as are those in other European countries, putting increased demand on hotel and flight spaces. Victoria Bacon, head of communications at ABTA, has suggested that schools look to the German system, where they stagger term dates as this would relieve the pressure during the traditional holiday season. A petition to reverse the law managed to get over 130,000 signatures, but ABTA said that fighting against the legislation would be fruitless. Instead, it recommended planning early and opting for city breaks rather than beach holidays. By taking advantage of free child places and low deposit schemes on offer between January and March, parents can be better manage the costs of travelling during the peak summer months. 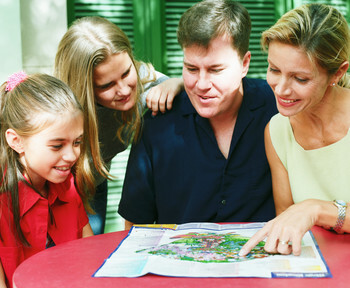 Securing cheap travel insurance could also help you families save on their travel costs.